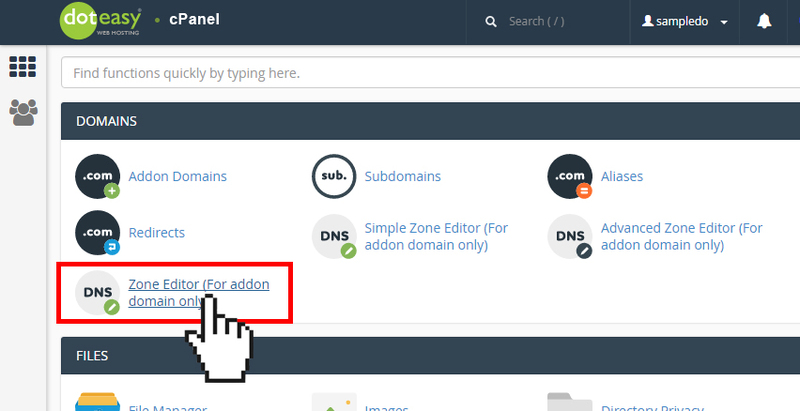 From the Domains table, locate the addon domain name you want to edit a zone file record. 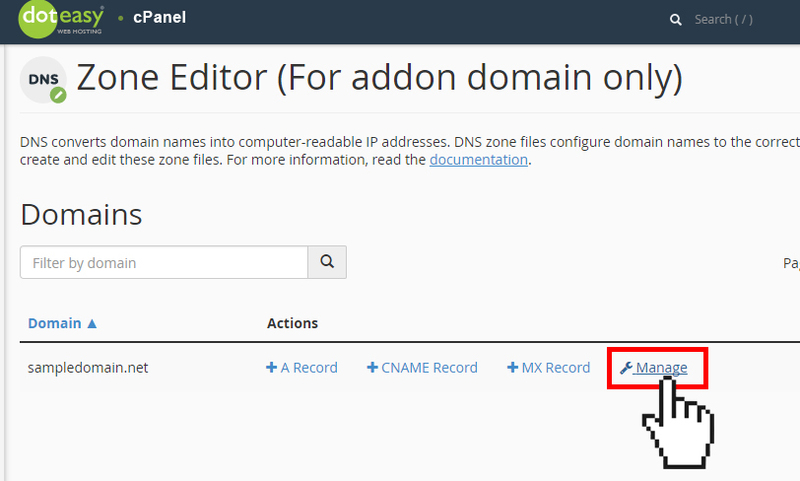 From the Zone Records table, locate the record you want to edit and then click Edit. Modify the value or vales you want to change. When ready, click Edit Record.